Learn how to measure ingredients, the right way! 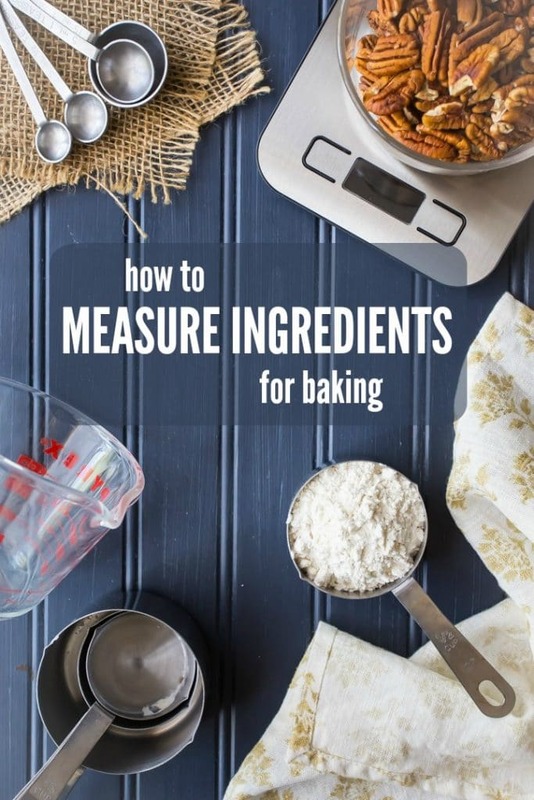 When it comes to baking, properly measuring ingredients can make or break you! 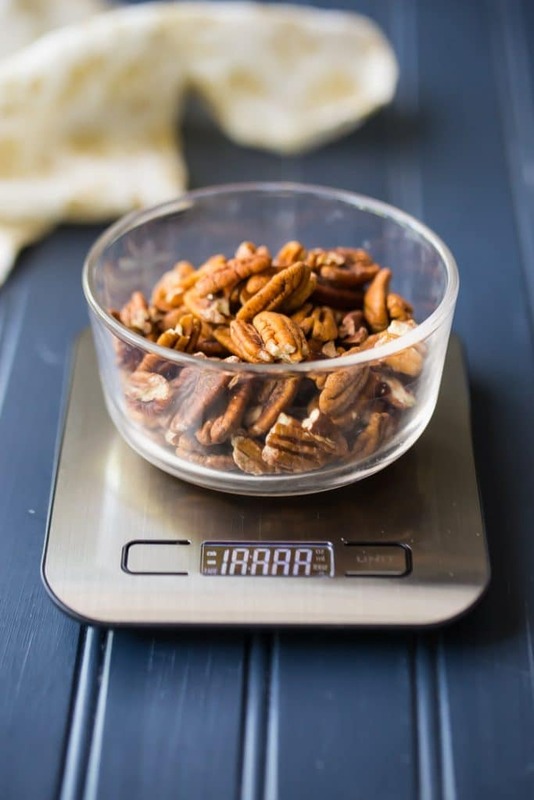 Read on to learn how to accurately measure dry ingredients and liquid, for the best possible result on all your cakes, cupcakes, cookies, bars, and pies. I started this series a few weeks ago, with the post “Why Use Cake Flour,” and I promised you lots more tips & tricks that will take your baking to the next level. So here we are! Precisely measuring ingredients for baking is so critical. Unlike cooking, where you can easily add a splash of this and a dash of that for flavor, baking is a very scientific thing. When you place that batter or dough in your oven, a chemical reaction takes place. 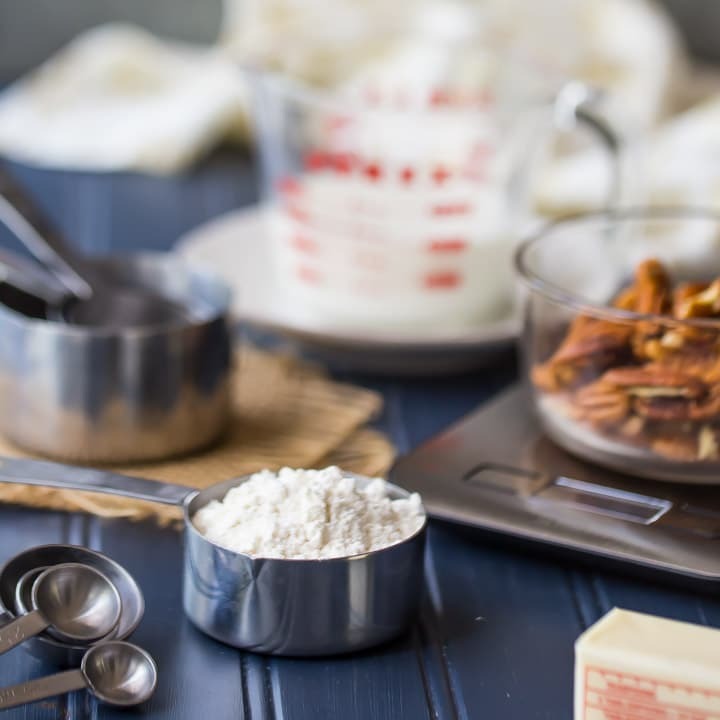 And the ratio of ingredients plays a huge part in how the cake, cupcakes, cookies, bars, or pie turns out. If things haven’t been measured out accurately, it can really affect the end result. So here is what you need to know. And this doesn’t just go for the recipes you find here on Baking a Moment. These are the universal truths for all recipes. Don’t believe me? Just flip to the front of any cookbook and you’ll see. They always include a section on how to measure, and the instructions are widely known to be industry standard. 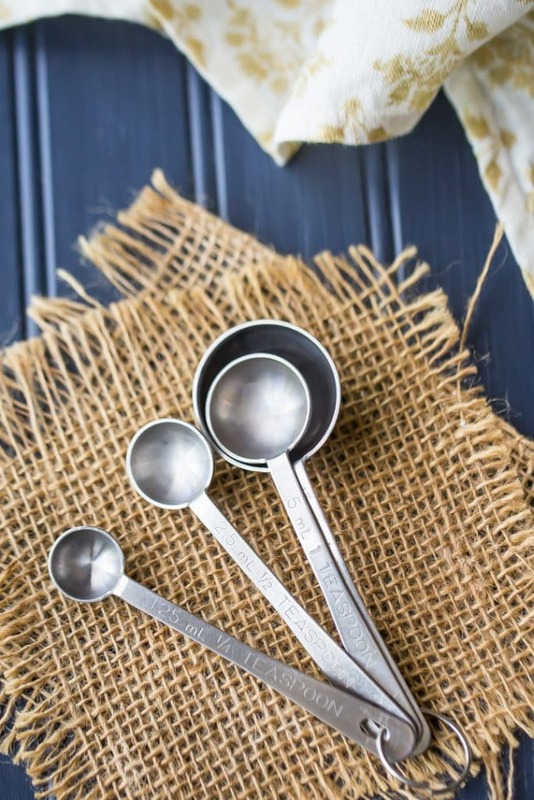 If you’re looking at a recipe that is written in cups and teaspoons, then you need to have 2 kinds of measuring cups: one set for dry ingredients and one or two liquid measuring cups too. Dry measuring cups come in a nested set. There is usually have a 1 cup, 1/2 cup, 1/3 cup, and 1/4 cup measure in each set. Liquid measuring cups look like a pitcher, with a handle on one side, a spout on the other, and lots of little lines printed on the side. 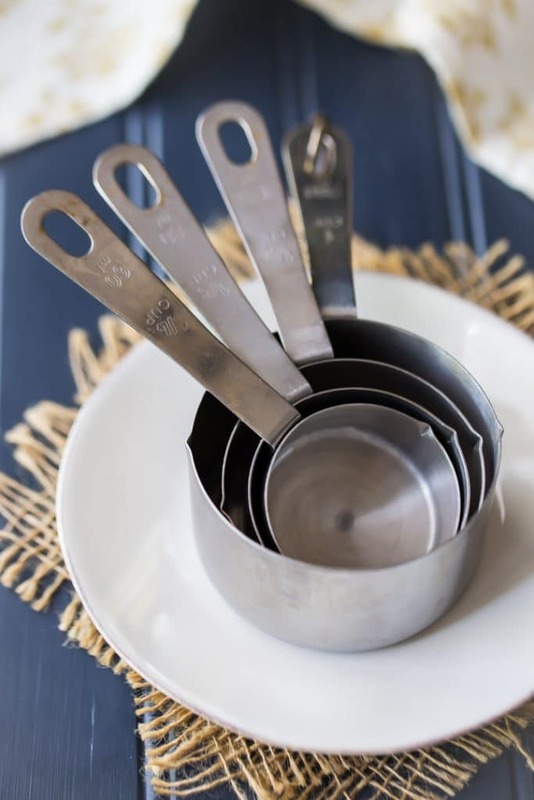 You should also have a set of measuring spoons. Most sets have a 1 tablespoon, 1 teaspoon, 1/2 teaspoon, and 1/4 teaspoon. These can be used for smaller quantities of both dry and liquid ingredients. 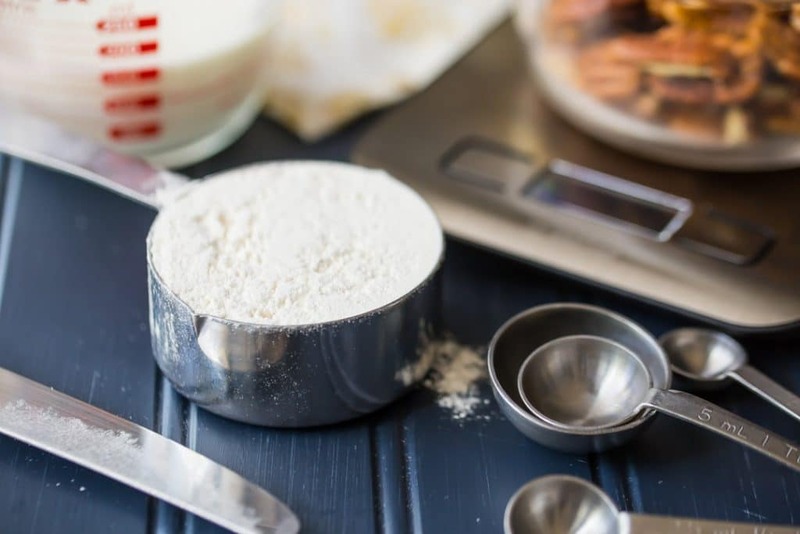 When measuring dry powders like flour, granulated sugar, baking powder, baking soda, or salt, you want to place your measuring cup or spoon over a canister, sink, or sheet of parchment paper. Then, lightly spoon in the ingredient, until it is overflowing the cup. Next, slide the back of a knife or the side of a spatula over the top rim of the cup, to level it. It’s very important that you spoon in lightly and don’t pack it down. I also like to “fluff up” my flour before I measure it out from the canister, because it tends to settle over time and become densely packed. Solid ingredients like peanut butter, Greek yogurt, or coconut oil are measured in a similar way, but you do kind of want to pack them in a little, just to make sure there aren’t any air pockets hiding inside the cup. And because of the unique texture of brown sugar, you want to always check the recipe to see if it says “loosely packed,” “lightly packed,” or “firmly packed.” You can really stuff a lot of brown sugar in a measuring cup if you want to! So there is a big difference between “loosely packed,” and “firmly packed,” in terms of weight. 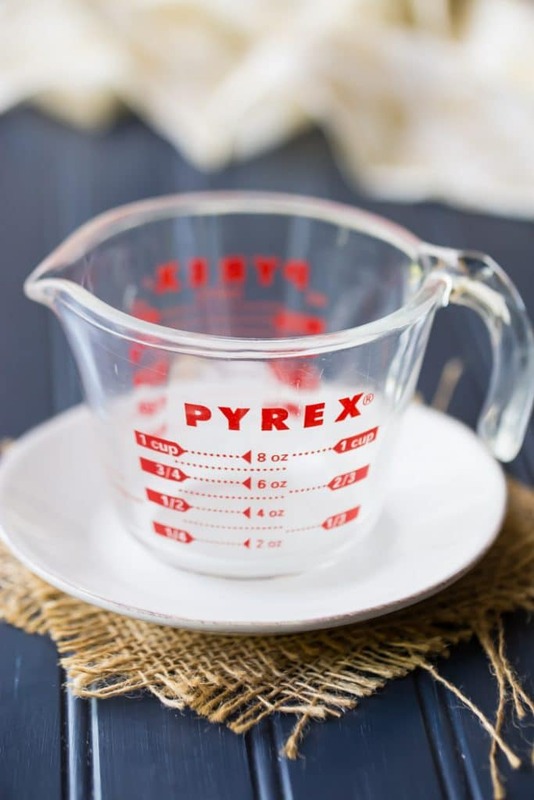 When measuring liquids like water, milk, or oil, start by placing your liquid measuring cup on a level surface, like your kitchen counter. Crouch down a little bit so you are at eye level with the markings on the side of the cup, then pour in the liquid until it reaches the right level. Always make sure you’re at eye level with the markings, because if you’re viewing it from above or below it can look different. And don’t hold the cup up in the air, because then it’s not really level and you won’t get an accurate read. These instructions apply for any liquid that you need 1/4 cup or more of. If your recipe calls for, say, 1 teaspoon of vanilla extract, then you can use measuring spoons for that. Just hold your measuring spoon over the sink and pour in the liquid until it reaches the brim. If you hold it over the bowl you are mixing in, you could accidentally pour too fast and overflow the ingredient into the bowl. And it’s pretty much impossible to get it back out when that happens! Here in the U.S., butter is sold in sticks. One stick is equal to 1/2 cup. 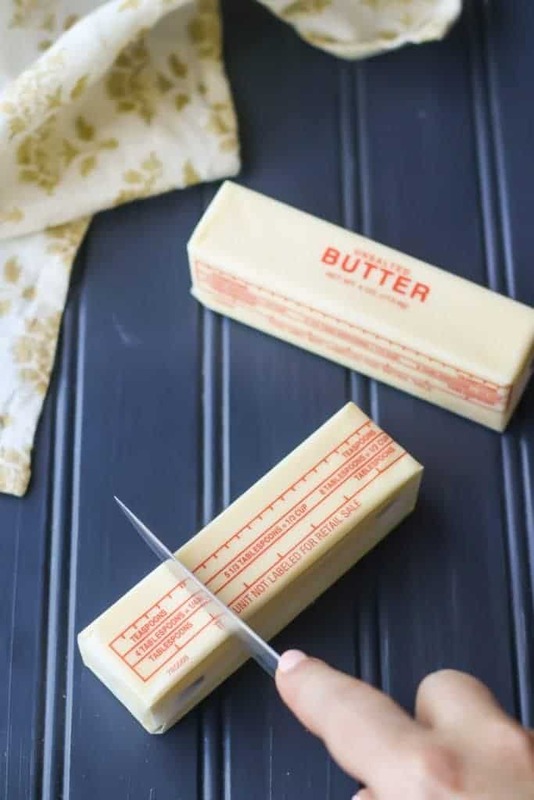 Just use a sharp knife to cut through the butter and the paper it is wrapped in. Unwrap what you need and add it in. What’s left can be popped back into the fridge. Side note: This also goes for cream cheese. Cream cheese is sold in 8-ounce bricks (don’t ever use the kind in a tub for baking! ), so on this site, all cream cheese measurements are listed in ounces. There are also measurements printed on the side of the foil wrapper, so you can cut off what you need in just the same way. When a recipe calls for, say, “1/2 cup butter, melted,” that means you melt 1 stick of butter. 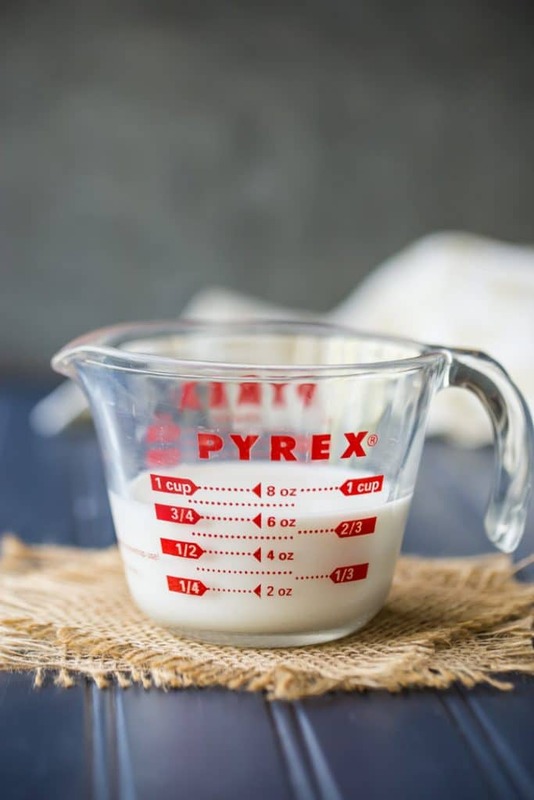 If it says, “1/2 cup melted butter,” that means that you should pour melted butter into your liquid measuring cup until it reaches the 1/2 cup mark. Get what I mean? The wording is different, and 1 stick of butter, when melted, may not be exactly 1/2 cup. When it’s solid It’s 1/2 cup, but it might be slightly less when it’s melted. The same kind of wording is important for things like chopped fruit or nuts. Like, two cups of strawberries might only be like 7 whole strawberries, but if they are finely chopped you would need a lot more than 7 strawberries to fill 2 cups. So definitely pay attention to the way it’s worded, ie: “2 cups strawberries, finely chopped,” vs. “2 cups finely chopped strawberries.” Make sense? I try to always note on all of my recipes to use large eggs. 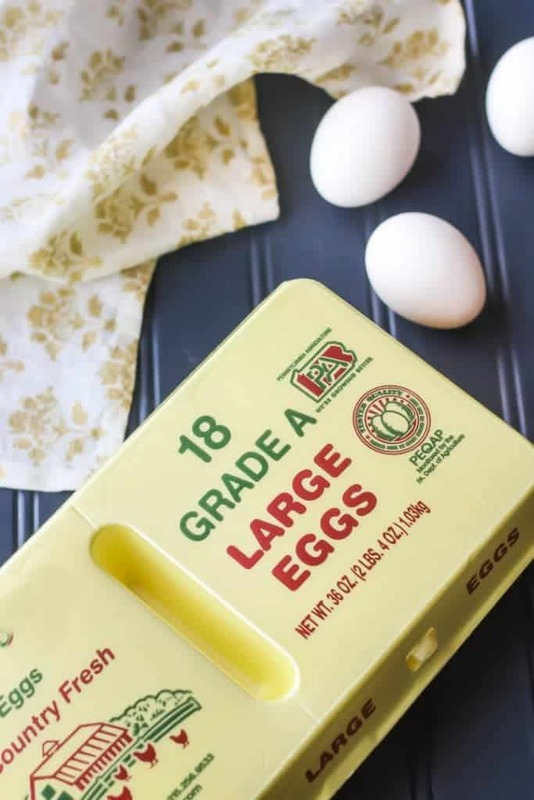 If you’re ever looking at a recipe and you’re not sure, just go with large eggs; that is industry standard. Because I am in the U.S., and so are most of my readers, I stick with cups and teaspoons. Again, here in the states it’s all about the cups and teaspoons. Sigh! Measuring by weight is so much more accurate. 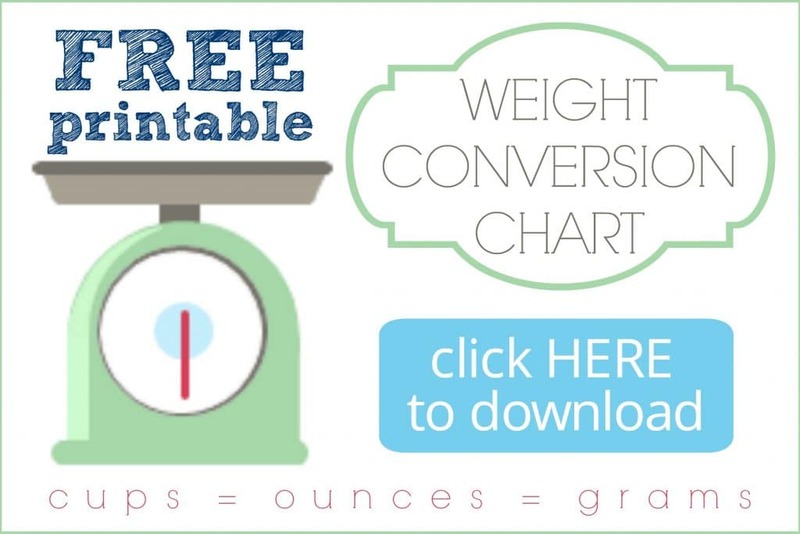 If we all measured by weight, there would be no need for this post, because weight is consistent, regardless of whether something is melted or chopped or packed into a cup. But because this is the standard in the U.S., this is how most of my recipes are written. With the exception of my basic macaron recipe, because French macarons are total divas and they fuss and don’t come out quite right unless you are extremely precise about it. If you prefer to measure your ingredients by weight, I tip my hat to you. It really is the best way, and it’s the way we did things at all the professional kitchens I’ve ever worked. I’m hoping that soon I will have an option on all my recipe cards that will allow you to toggle between cups and grams. Won’t that be cool?? It’s totally free! Just click the image above to download it, then print it out and tack it to the inside of your cupboard so you can reference it easily. Hopefully this article is helpful to you! If you have any questions or if I left anything important out, please let me know in a comment. I’ll be sure to get back to you right away. 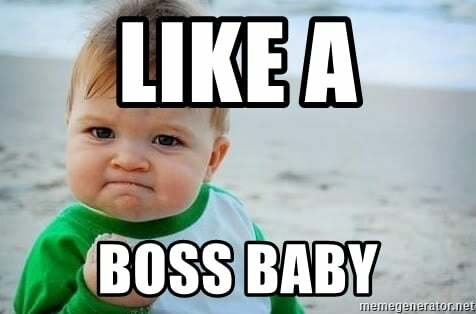 And if you have any other topics you’d like to learn more about, that would fit in with the “Bake Like a Boss” series, I’d love to hear your suggestions! Fantastic post Allie. Loaded with great, easy to read and understand information. I’m bookmarking this one! Thanks. So glad you like it Vicki! It’s not as exciting as a recipe post, but measuring correctly can really make all the difference. Thanks for the sweet comment! So many helpful baking tips! Thanks for sharing! So apparently I’ve been measuring my baking ingredients wrong all along! This was jam packed with helpful knowledge. I will definitely have to bookmark this for future reference. Awesome post! Thank you for sharing! My pleasure Elisha! I’m so glad you’ve found it helpful. It’s the littlest things that can make all the difference! Really great & fantastic article. Just superb. Appreciate your thought. Thanks a lot.